Introduction: The origins of tourism have been a fascinating area for investigation. According to Cohen, such investigation should pay attention to the specific forms of tourism as different forms of tourism might have different origins. It is thus necessary to examine the social, political and environmental factors that caused the emergence of certain types of tourism. In the broad sense, tourism can be classified into two types, cultural tourism and nature tourism. The origins of cultural tourism have been traced to pilgrimage in the medieval world, or to the ancient world. By contrast, the origins of nature tourism received less scholarly attentions. Nature tourism refers to the contemplation of landscape scenery, or flora and fauna; the focus is nature itself, namely, its attractiveness and individual experiences. Meyer-Arendt attempted to explain the reasons why human are attracted to the natural environment and attributed the origins of nature tourism to traditions such as Romanticism, nature in religion and the Spring and seaside traditions. 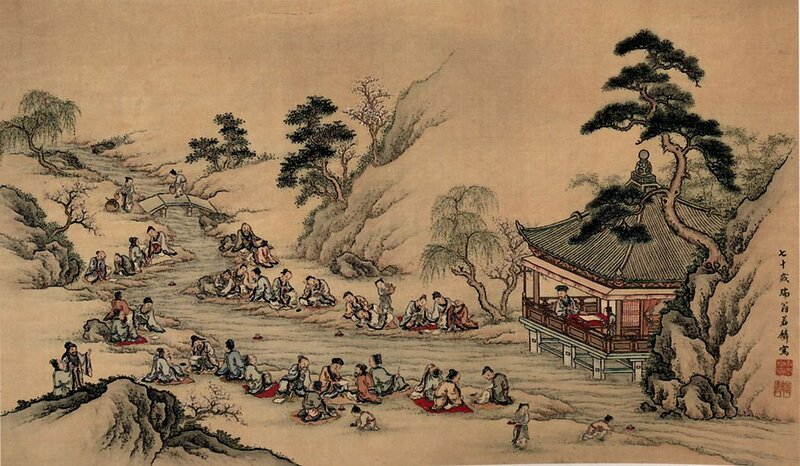 Such views neglect the leisure pursuits of literati in early medieval China, which saw the emergence of nature tourism for reasons different from those of the western world. Investigation of the complex reasons helps understand why nature tourism emerged in China in that period. A considerable number of historical evidences showcased this milestone development in tourism history. Drawing on the evolutionary paradigm, this study aims to identify the critical innovations and movements in the evolution of nature tourism. The evolutionary paradigm helps the researcher to determine the major issues relevant to the observed phenomenon and offers a quick way for communicating research ideas.